Every once in a while, I like to pick up lunch at Rainbow Drive-In in Kapahulu. It's one of the few places that still serves their plate lunches in a cardboard box. 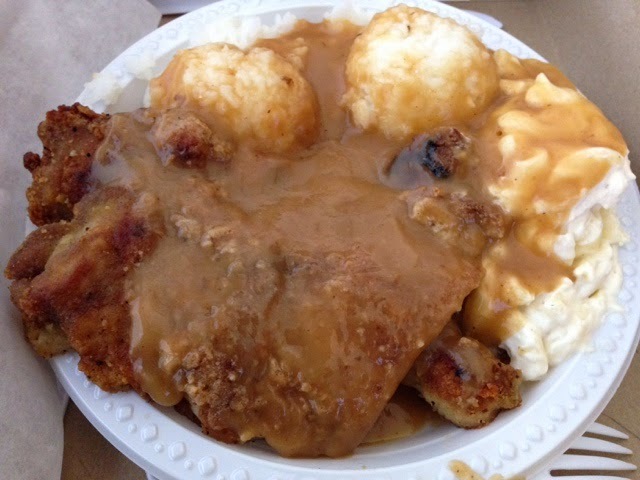 My favorite dish here is the boneless chicken with gravy - so comforting and delicious. 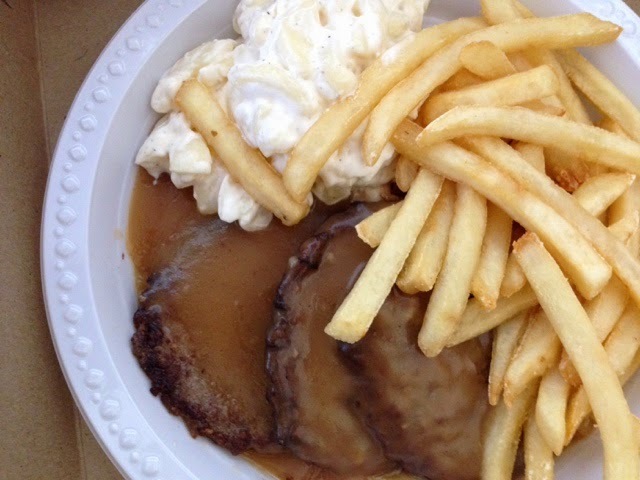 Another classic plate lunch to consider ordering is their hamburger steak. If fries and gravy are your thing, ask for fries instead of rice!